Click on the descriptive text to view the detail. Yes Indeed - the Streak in Val d'Or - 29 March 1974. 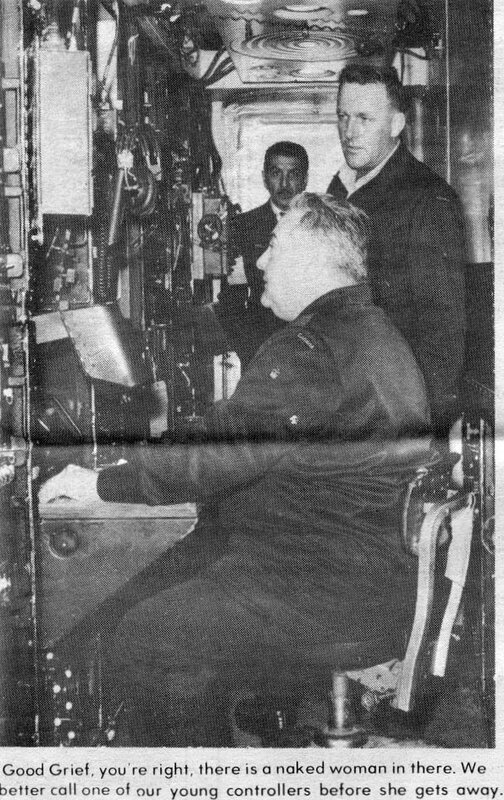 Pete Ellis & Ray LaBerge in the CPN-4 - 1974. 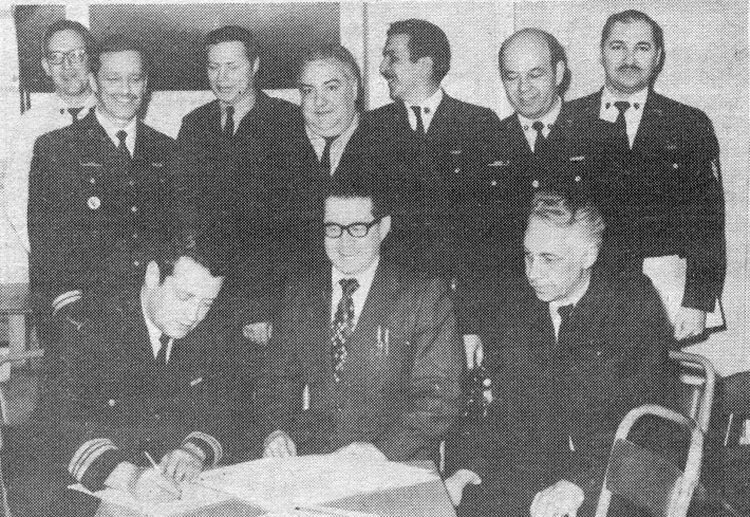 Gerry Masse signs the acceptance certificate for the CPN-4 - 1974. Witnessed by Gord Stokes (BATCO) & Ray Laberge. 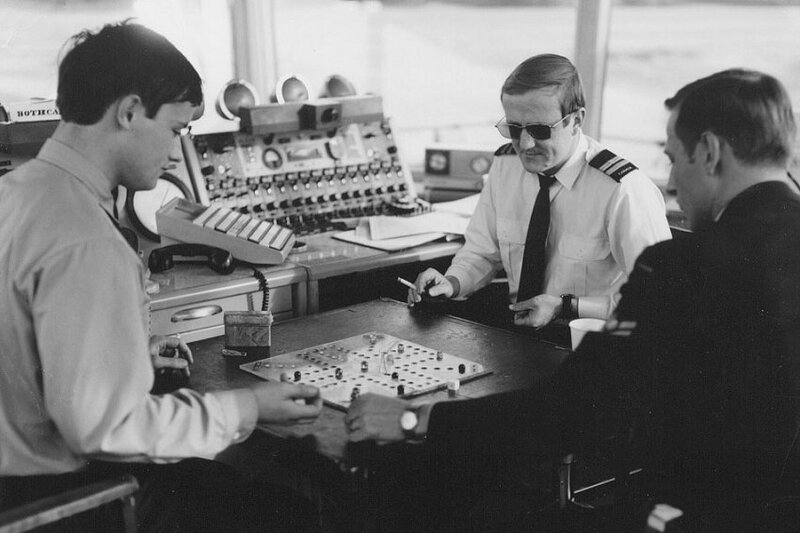 Ron Tyo, Jim Dunn and Ron Benson engage in a game of "Oh Hell" - 1973. The 503 consoles were a new addition. Front of pocket sized Standards Card created by Gerry Masse - 1973. 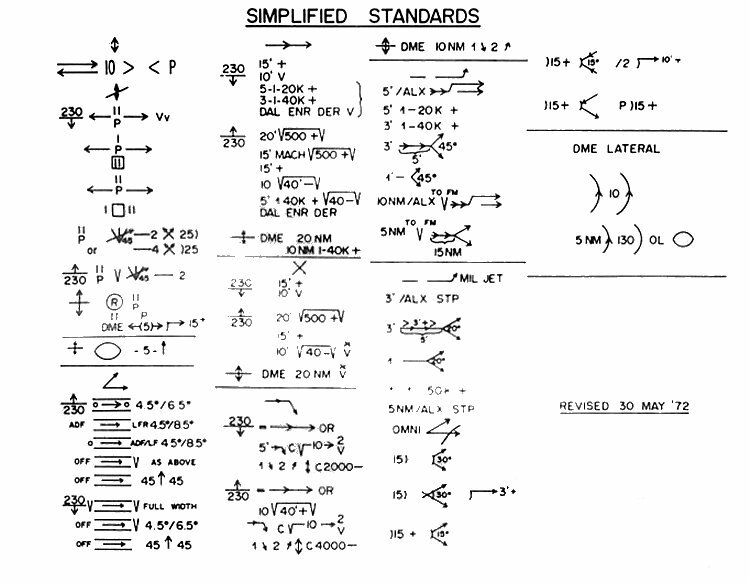 Back of pocket sized Standards Card created by Gerry Masse - 1973. 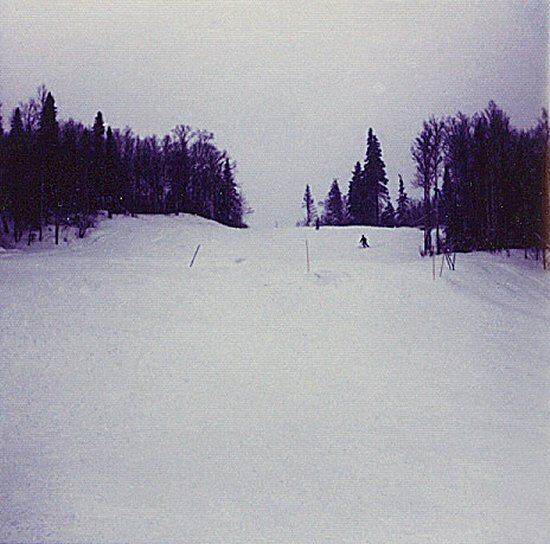 Mont Video was a commercial ski hill near Val d'Or - 1972. 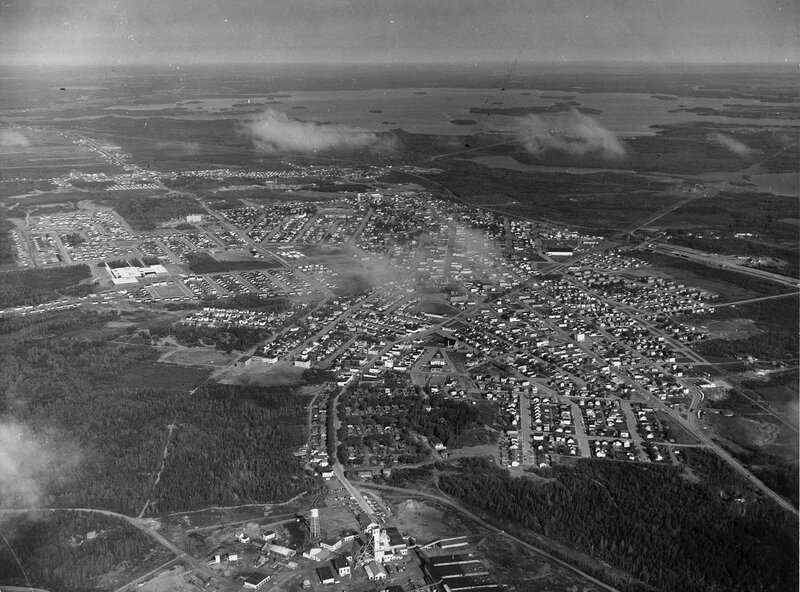 Aerial photo of Val D'Or - May 1971. Larger image of the aerial photo of Val D'Or - May 1971. 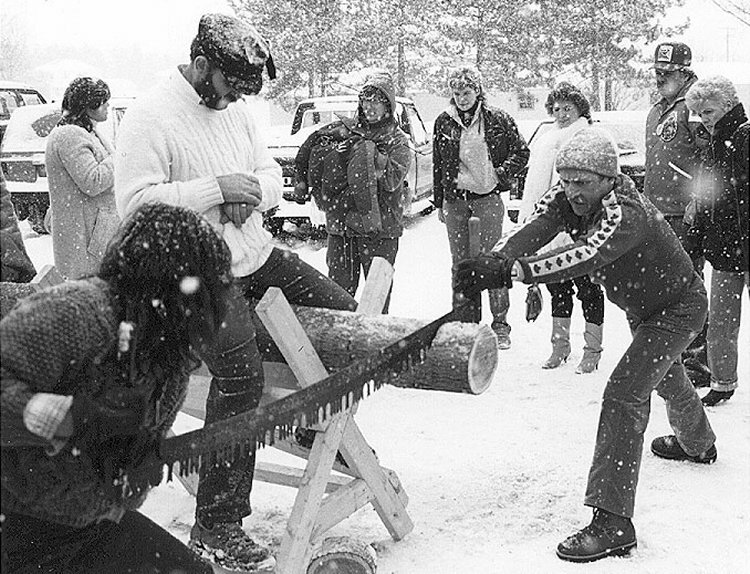 Winter Carnival: Blow Ball contest - February 1971. 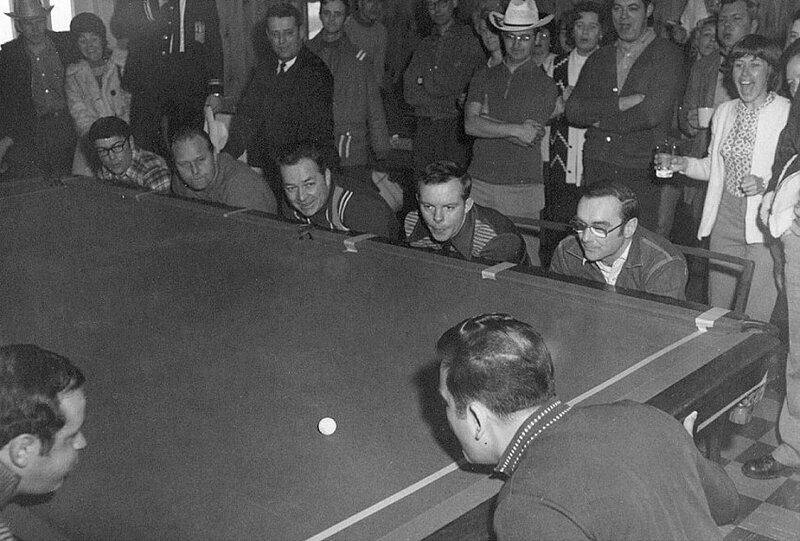 Gerry Masse behind 2nd and 3rd blowers at left end, right side of table. Winter Carnival: Cecile Roebuck (SATCO's wife) girds to do battle at the front entrance to the Officer's Mess - February 1971. 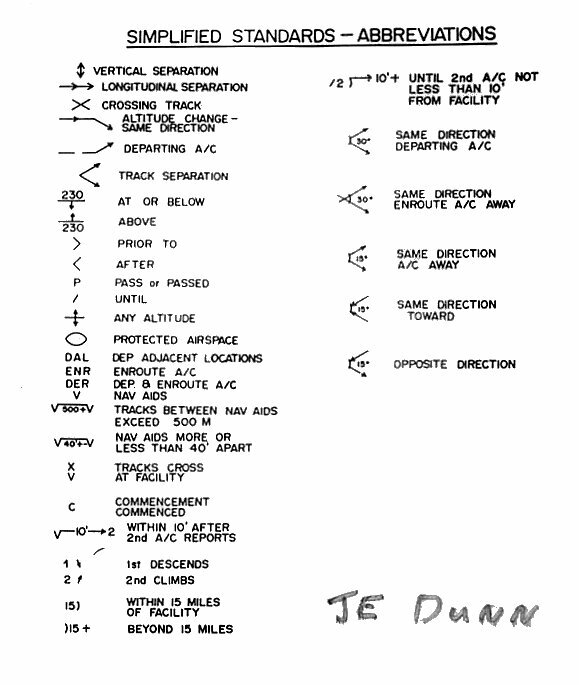 The SATCO was Don Roebuck. 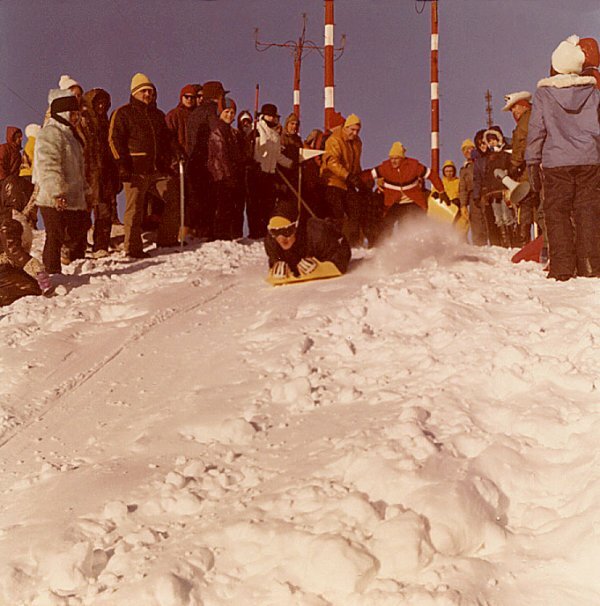 Winter Carnival: Jim Dunn is launched by Ron Donovan down the station ski hill - February 1971. Winter Carnival: Jim Dunn & Cecile Roebuck catch a few ZZZs - February 1971. 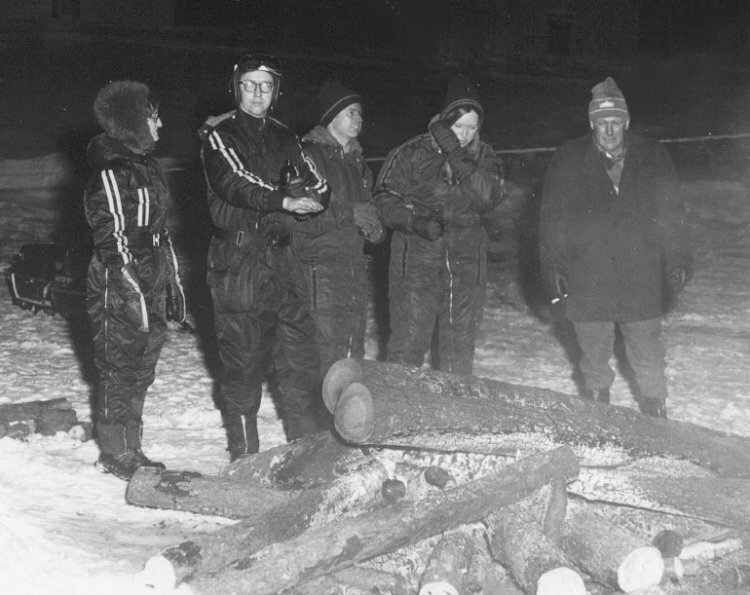 Winter Carnival: Pete Ellis (far right) at bonfire with Skidooers - February 1971. Wayme Ogilvie (Tech) 3rd right. 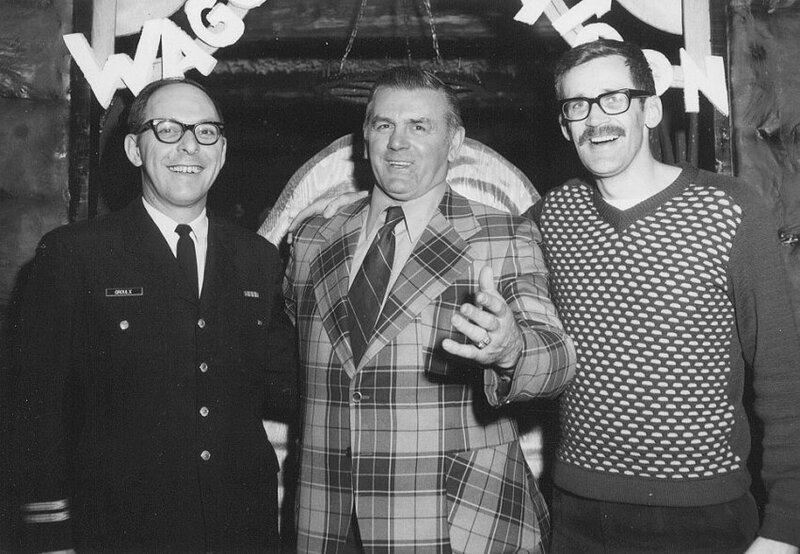 Winter Carnival: Maurice "The Rocket" Richard of the Montreal Canadiennes was the guest speaker - February 1971.